New Webinar: Mark your Calendars! Today, we have an info-packed newsletter for you, so buckle up. We were fortunate enough to sit down with Dr. Igor Schwartzman, a leading physician specializing in naturopathic medicine in Portland, Oregon AND and active user of ChARM EHR. Dr. Schwartzman's practice is rapidly growing and as such, he felt that he needed an EMR to keep everything organized and efficient as his practice has grown. He sifted through dozens of EMRs before finally settling on ChARM EHR. ChARM EHR: Can you describe your practice? Dr. Schwartzman: My vision had always been to bring different healthcare practitioners with various backgrounds and gifts together as one cohesive clinic. As my vision of a multidisciplinary clinic continues to grow, we are constantly putting systems in place analogous to that of a well-designed clock. All of its gears are intertwined in motion with one another, but all moving at exactly the same speed. The focus of my clinical practice is on hormones, autoimmune disease, and infertility. ChARM EHR: How many people work at the practice? Dr. Schwartzman: At this point, we have five providers, and are continuing to grow. Each of our practitioners is seeing patients every 30-60 minutes. ChARM EHR: What made you want to integrate an EMR into your practice? Dr. Schwartzman: I find that both solo practitioners or multidisciplinary clinics share a common challenge of not having effective and efficient practice management operations. This usually includes the very basics of how to schedule an appointment, ways to store and share health records and documents, as well as effective means of communication between providers, staff members, or patients. I believe that an adaptable and a multidimensional EMR/Practice Management platform brings an immense value for a clinical practice to grow and thrive. Dr. Schwartzman: The integration of ChARM has changed our means of communication, how we exchange information, and brought us MUCH closer to having a cohesive clinic with effective practice operations. The difference is night and day. ChARM EHR: What made you choose ChARM over other EMRs? Dr. Schwartzman: Because of my interest in designing efficient and effective systems in clinical practices, I have had an opportunity to have an overview of several dozen EMR platforms. It was an eyeopening experience. In my view, most of them had been cumbersome, inefficient, and appeared to be difficult to implement. Contrary to what I saw, ChARM EHR appeared to be simple, user-friendly, adaptable, with the capacity to improve practice management and operations. During my very initial demonstration, I felt that I learned many of the basic features of the platform and was ready to implement. That was my initial impression, and I was right in the end! It took no time to begin using it. ChARM EHR: What tangible or noticeable improvements have you noticed since implementing ChARM? Dr. Schwartzman: The most immediate improvement was that ChARM EHR allowed for efficient handling and accessibility of a LOT of information. We have seen instant improvements in the patient flow, management and coordination of various sources of documentation, as well as more effective means of communication amongst members of the clinic. ChARM EHR: What do your employees think of ChARM EHR? Dr. Schwartzman: Both staff members and associates have all reported that ChARM is user-friendly, easy to learn and use. ChARM EHR: Any favorite aspects/features of ChARM? Dr. Schwartzman: I really appreciate that it strives to deliver individual customization and flexibility for every practice. One of the most exciting aspects of ChARM is that it is the most well-rounded platform. It is comprised of many aspects of an integrative medical practice, including billing and accounting, inventory, scheduling, direct patient and staff communication, as well as having instant access to detailed reporting and practice metrics. The best part, is that it can all be accomplished using the system remotely from any computer or device. ChARM EHR: We appreciate the complement! Any final words? Dr. Schwartzman: ChARM has shown itself to be an excellent tool. I find that it has a strong foundation in practice management. From the very beginning, I found that as a company, ChARM showed its commitment to customer service, excellent technical support, while also being receptive to feedback and suggestions. ChARM EHR is an excellent tool that I highly value and recommend to any integrative medical provider. I look forward to the next phase. To me, efficiency is a systematic approach to any given task that allows for a maximum return on the amount of time invested. 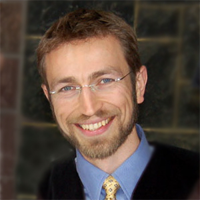 Dr. Igor Schwartman will be holding a ChARM EHR demonstration and Q&A with YOU on Friday, February 15th at 10:00am PST. This is an excellent opportunity to see ChARM EHR in action and ask a fellow physician any questions you have. CLICK HERE to register!